How does one measure the real health of an economy that continues to adjust to massive structural changes and has become dependent on various lines of cheap funding provided by Uncle Sam? 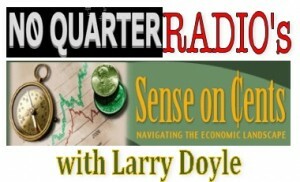 It has been a little while since we have navigated upstream to get a real read on the pulse of our economy from one of our Sense on Cents favorites. I am speaking of Rick Davis of Consumer Metrics Institute, who recently penned a commentary entitled, Taking a Closer Look at Mixed Signals. Does the Market Rally Have Legs? Having seen some stability and pleasant surprises in economic data over the last few weeks, will those trends continue? What prompted some of the stability in the first place?